There is plenty of great golf to be found in Virginia. 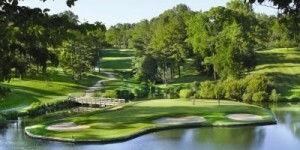 The Commonwealth of Virginia boasts several great golf destinations. Southeastern Virginia features the coastal golf destinations of Virginia Beach and Historic Williamsburg one of the east coast’s top golf destinations. 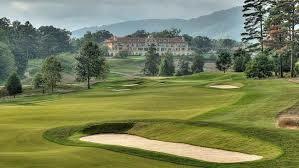 Head west into the foot hills of the Blue Ridge Mountains you will find several great courses in Charlottesville. Scenic mountain golf stretches along interstate 81 from Winchester in the North, through the Roanoke valley and into the Highlands of southwestern Virginia. Full Cry Golf Club at Keswick Hall is a Pete Dye masterpiece that opened in late 2014. Full Cry is already assuming it’s place among the best of the best with awards such as Golf Digests’ Best New Course. Any “well-traveled” golfer needs to have Keswick’s Full Cry added to their list. 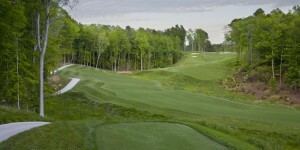 The Commonwealth of Virginia can boast its own version of the Jones Trail with our Golden Horseshoe golf packages. Golfers can travel to Williamsburg and play the Golden Horseshoe’s Robert Trent Jones designed Gold Course (Golf Digest and GOLF magazine Top 100) and the Rees Jones designed Green Course and his newest course in the region, Viniterra. Enjoy onsite accommodations at Colonial Williamsburg’s Woodland, includes breakfast each morning or the Williamsburg Lodge. The “Historic” Robert Trent Jones designed Gold course received a full renovation in 2017 (open late summer 2017). Don’t worry no major changes were made to a layout we all love but all playing surfaces were updated including tees fairways and greens. Putting greens will feature new 007 hybrid bent grass. A heat and traffic tolerant bent grass that will ensure year round high quality putting surfaces. No time better than now to book a Jones Collection Golf Trip through Virginia Golf Vacations. Fill out a quote form and tell us what is important to your golf group. Is it all about the golf so you want premium courses and inexpensive lodging? Do you want a bar onsite or walking distance from lodging? Condo Accommodations only? Is there one course you HAVE to play? You want us to collect individual golfer payments? Regardless, Let us know and we will put it together in the way that makes the most sense and the most cost effective. Nobody knows Golf in Williamsburg better than us! We live here, we play golf here and we know the little things that make a good golf trip great! Fill out your quote form, give us a couple notes and we will get back to you within 24 hours!